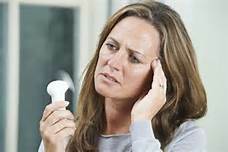 If you are a woman, you know that at some point in your life you will experience menopause. It’s a time of normal hormonal changes that occurs in our bodies, yet most American women experience menopause as a challenging, symptomatic roller coaster and often resort to hormones and medications to ease symptoms. However, it doesn’t have to be that way. Women in Asia have a different cultural outlook and approach to addressing menopause, and as a result they tend to experience fewer symptoms from this normal change of life. The theory of yin and yang is widespread in Asian culture, and relates to the world around us as well as to the internal workings of our bodies. In a young, healthy person, yin is represented in the body fluids, but also makes up the quiet energy in the night hours, which calming and cooling internally. Yang is the vital energy of daytime, creating heat and motion. Together, Yin and Yang balance the organ systems which make the body function. For example, when you exercise and overheat, you have used yang energy. In response, the body will open the pores to release sweat, which is yin energy. When your body gets too cold (an excess of yin), your muscles will move (shivering) to generate heat, which is creating balance by adding yang energy. To further explain the concept, imagine two test tubes equally filled to the top with liquid, one with hot red liquid (yang), and the other with cold blue liquid (yin) representing the desired internal balance within the body. When the tubes are filled to the top and contain equal amounts of liquid, they balance each other out. If you were to lose half of the blue (yin) liquid, The red (yang) liquid would overpower the blue (yin) liquid. The kidneys are considered the main source of the body’s vitality, and contain elements which control physical development and aging. The balance of kidney yin and yang naturally change and lessen with age, while stress and dietary choices further hasten imbalances. As kidney yin lessens, it creates a feeling of heat in the body manifesting as hot flashes, night sweats, and irritability. While it is likely that kidney yang function has lessened somewhat, there is still more yang than yin, causing the yang to overpower the yin which creates the sensation of heat at random intervals. In Asian culture, it is commonly understood that by age 40, the kidney yin of the typical woman has dropped by half. Balance is continuously enhanced by dietary, herbal, and acupuncture therapy, thus avoiding most menopausal symptoms. For those that do experience symptoms, the same therapies can significantly decrease or eliminate discomfort by re-balancing yin and yang.